Mitch has been full time with Eagle since 2015, and has elevated the continued support that our Eagle Alumni, and pilots in our local community receive after their initial training. The mountain support and guidance Mitch provides is a big reason pilots choose Eagle. Mitch works with a wide range of students at the flight park, Eagle Paragliding flying roads trips, and on our annual Colombia tours. 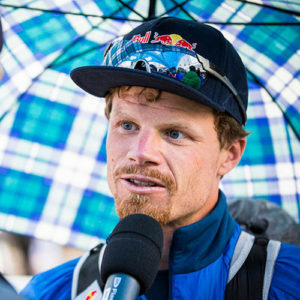 He was the 2015 US Paragliding National Champion, and a 2017 Red Bull X-Alps competitor. He learned to fly in Crested Butte, Colorado. Mitch has traveled as a tandem instructor flying in Sun Valley Idaho, and Pokhara Nepal, and is a seasoned vol-bivouac and acro pilot. He has racked up countless hours flying XC on 4 continents. Mitch has a competitive spirit, but is a calm and cool paragliding instructor. We feel lucky to have Mitch working with us at Eagle. He has received nothing but praise and positive feedback from the students he has worked with here.